Stumpa Duloigh SE stretches out towards Knocknabreeda and is part of the large east facing corrie that cradles Lough Duff. 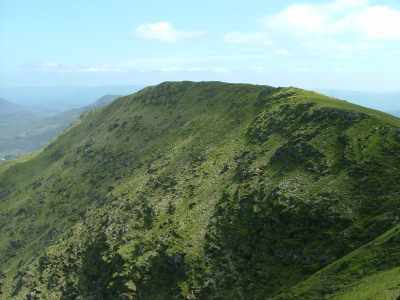 It is the highest point on the ridge just left of centre. 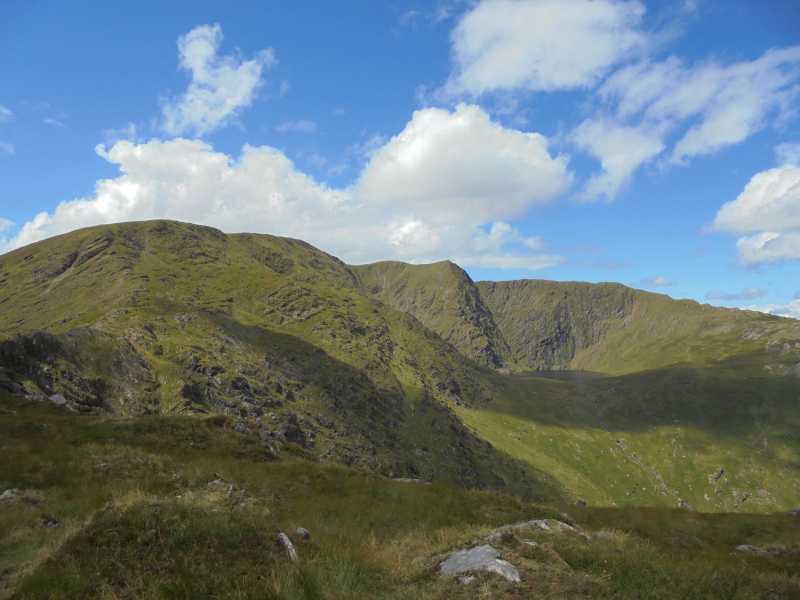 The sharp peak with the cliff falling into the lake is a minor top of Stumpa Duloigh, around 200m NE of the main top. 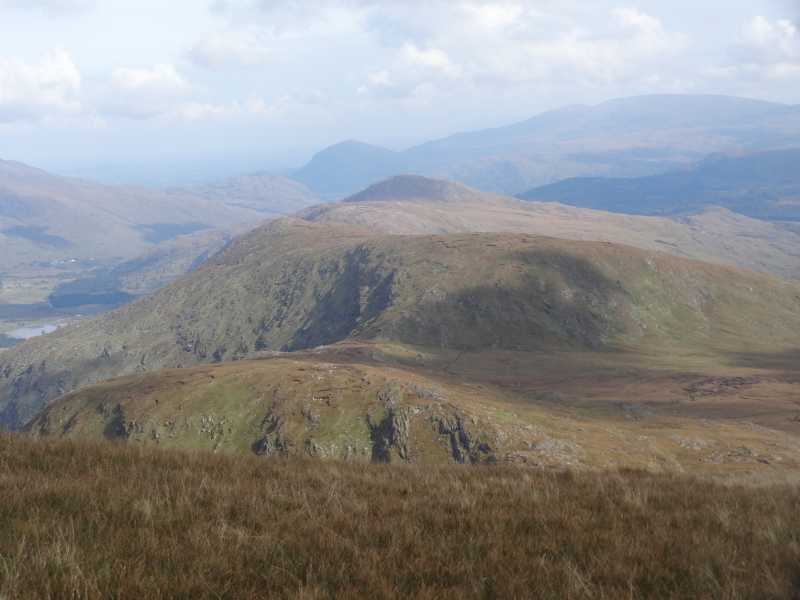 Picture from hivisibility : View East from the approach to the summit. 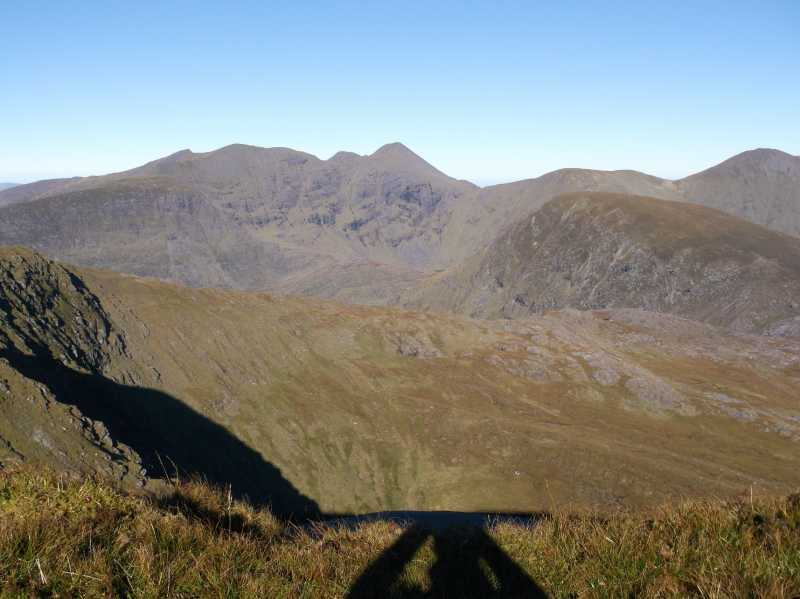 Picture: View East from the approach to the summit.